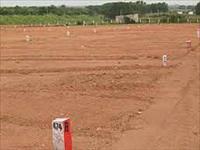 SVLN Enclave presented by Sri Lakshmi Constructions Builders with plots for sale in Bhuvanagiri. SVLN Enclave is a Residential layout developed by Sri Lakshmi Constructions Builders. The project has a parks & avenue plantation in a serene environment. . The location is neighboring to Bhuvanagiri , Hyderabad, Proximity to super express high way provides excellent connectivity. Close to Bhuvanagiri located in 6 km distance. Surrounded by numerous residential layouts. Prime location with assured appreciation with affordable price. Part of new fast growing zone of the city. Sri Lakshmi Constructions Builders are proud to inform you that we are one of the leading builders & Engineers at Visakhapatnam. We have started this firm in name style of M/S Sri Lakshmi Constructions on March 07th 2002.So far we have completed 53 ventures in and around visakhapatnam and more than 50 independent houses. Have a good knowledge of SVLN Enclave? Share it and become a Project expert.